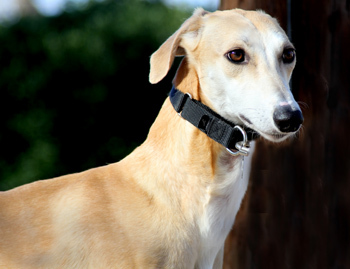 GALT received a phone call on Monday, November 15th from Tina who lives south of Benbrook. 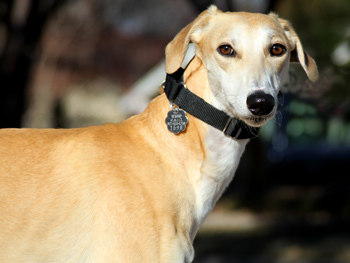 A fawn greyhound had been seen around her property, and she had successfully lured it to an area where it came for food, water and bedding. 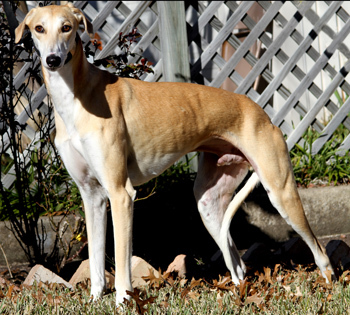 Stew Brenner took GALT's live trap down to her, and Tuesday evening the male greyhound was captured. Not for long unfortunately. Tina had been asked to leave the dog in the trap until GALT volunteers arrived; however when looking to see if he had tattoos, he managed to get out the door of the trap. The trap was baited again, and Thursday morning Tina found him in the trap again - he could not resist her chicken soup! He had been seen in the area off and on since July. Stew picked up "Lenny" and took him to VCA Preston Park Animal Hospital where he is under the care of Dr. Christy Soileau. His medical tests were all in good order, and he has completed his neuter, dental, et al! It is estimated that Lenny is approximately 3 years old. 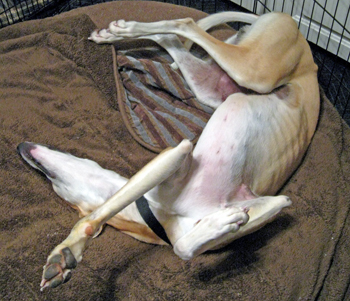 He is warming up to the good life in his foster home and becoming more relaxed each day. Lenny is cat trainable, and has not yet been tested with small animals.